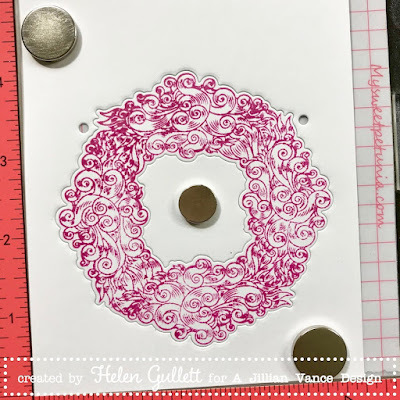 Hello everyone... Helen is here today with a project using the Wreath of Hope Stamp and Die Combo. October is a month of cancer awareness. There many women are fighting every day to survive and to win the war with cancer. I have some relatives who are in this fight. My prayers and thoughts go to all these women who are in the same battle. If you are one of them, I am praying that God will give you hope to survive. I am asking God will hold you in His mighty hands and give you the strength you need. You are not alone in this journey! 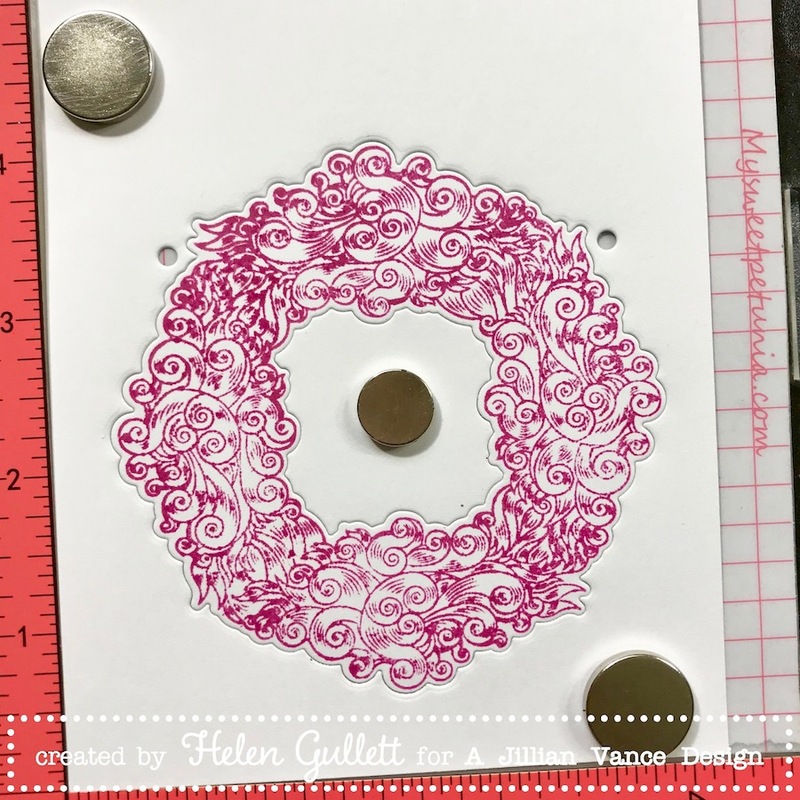 First I die cut the wreath with white cardstock, then I put both positive and negative on the Mini MISTI and I put the wreath stamp on it. 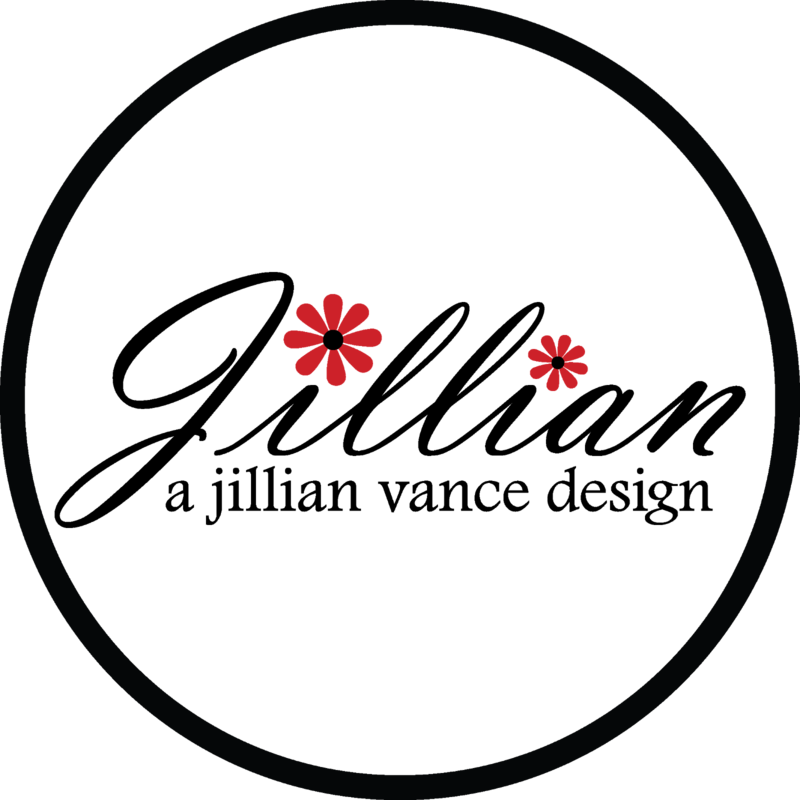 Because it is a clear stamp, it is very easy to align the stamp and die cut together. I stamped the wreath with the TE Lollypop Premium Dye Ink, I did it couple times for bold result. 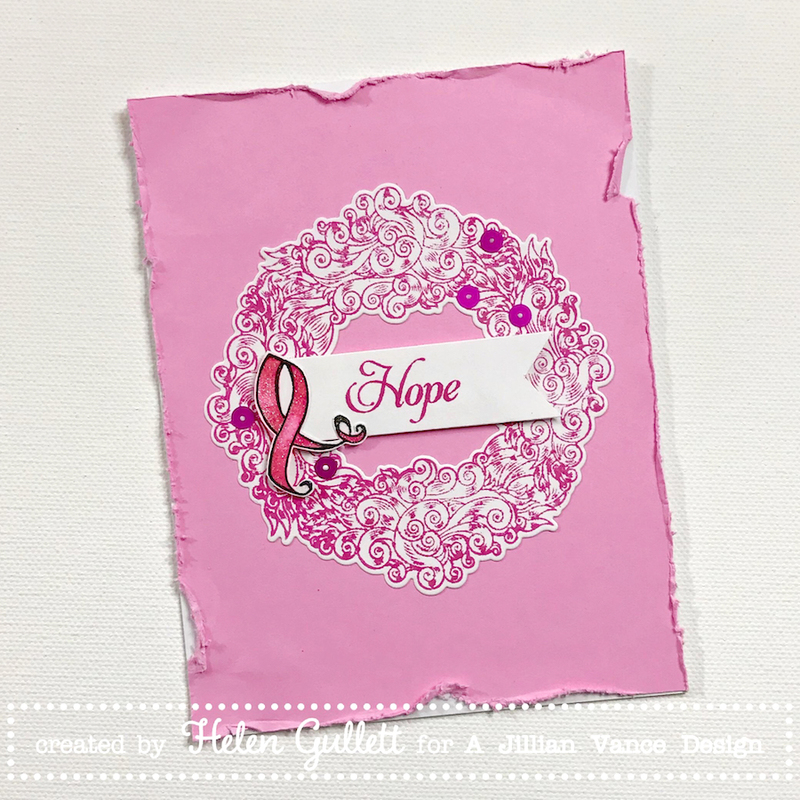 I stamped the ribbon with Versafine Onyx Black ink pad, and I colored it with 2 shades of pinks using the Arteza Real Brush Pens. And I fussy cut it with micro-tip scissors. 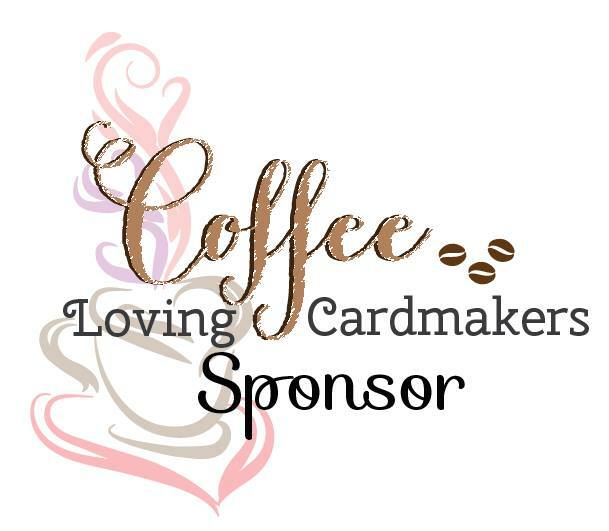 I stamped the sentiment with the same dye ink pad on a white cardstock and cut out the banner tail. 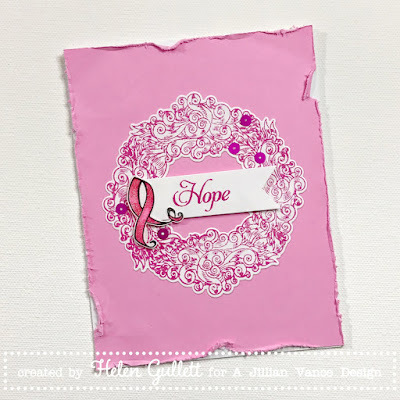 I used the heavy weight white cardstock as my cardbase, and then I use the lightest shared of pink cardstock from Tinkle Pink set as the mat. I distressed the edges with distresser tool. I added it on the card base with permanent adhesive. I added the wreath on the card, then the banner and ribbon on top of it with 3D foam tape. I finished the card with some of the Fushcia Satin Sequins on the wreath. That's my clean-and-simple card today. I hope you all are inspired to create with A Jillian Vance Design! Have a fabulous blessed day! That's an incredible wreath !